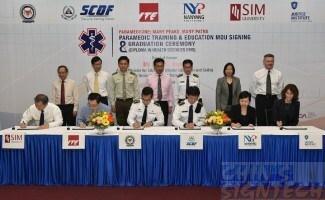 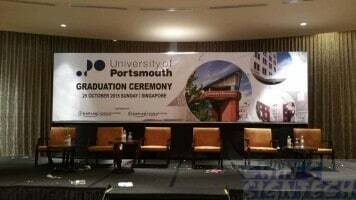 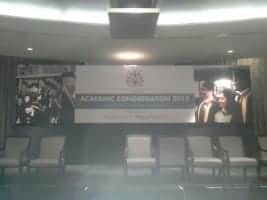 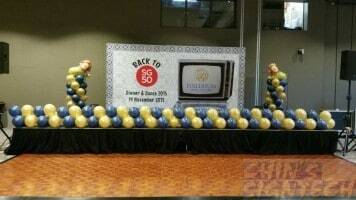 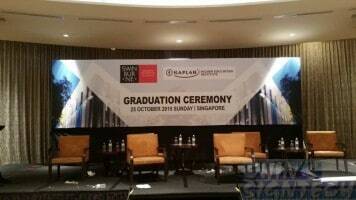 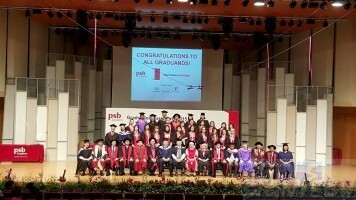 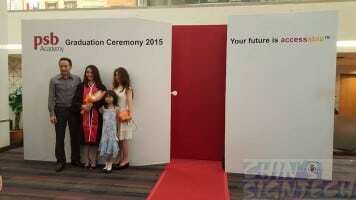 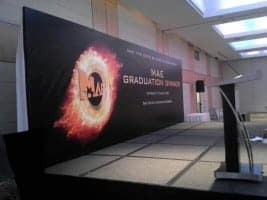 Install Event Stage Backdrops for your Graduation Concert, Dinner & Dance, Anniversary events. 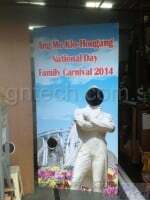 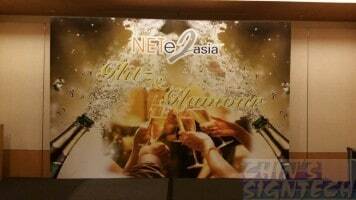 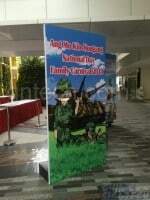 Print on PVC Banner, wrapped onto wooden frame with Stands. 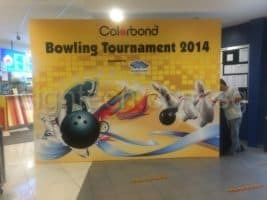 Cheap and Good design ! 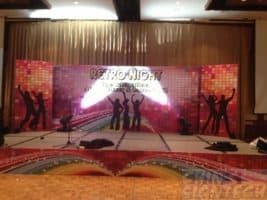 Give Your event that professional and personal look. 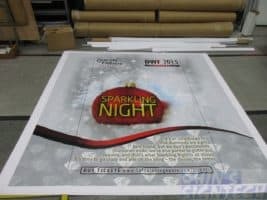 Our Stage Backdrop Printing is sure to do the job ! 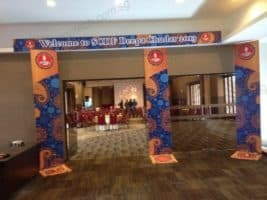 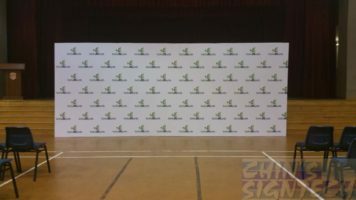 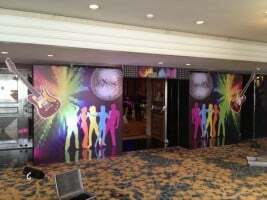 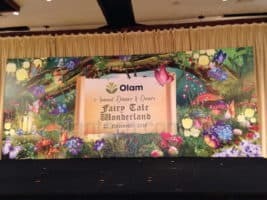 Backdrops are the ideal solution if you are looking for a simple, quick and cost-effective way to increase the background choices available to you and your guests / customers. 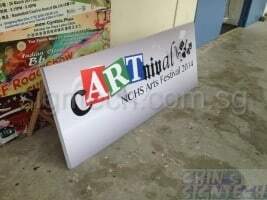 Print on PVC Banner, wrapped onto the wooden frame, supported by Metal / Wooden Stands. 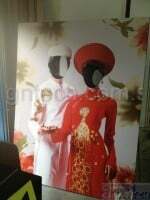 Most of all price is reasonable and look presentable ! 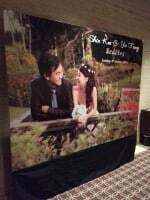 Recommended height is 8 to10 feet tall because some guys are tall. 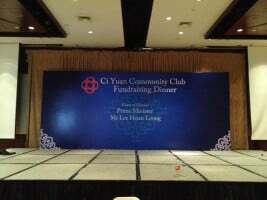 It will not look grand especially your Guest of Honour is very tall. 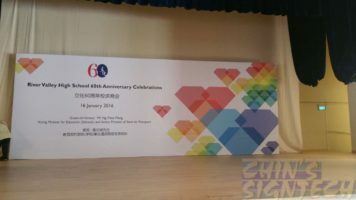 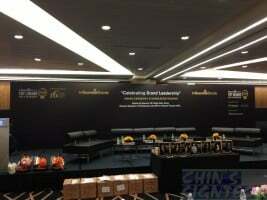 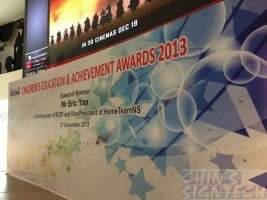 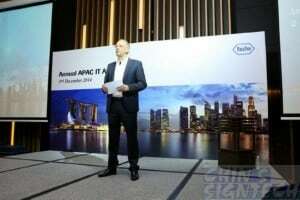 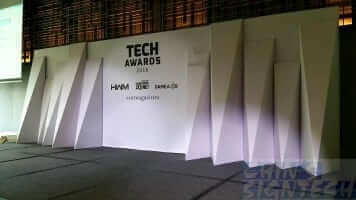 Our cheap 16×8 feet stage backdrop installed for Roche Annual APAC IT Award 2014. 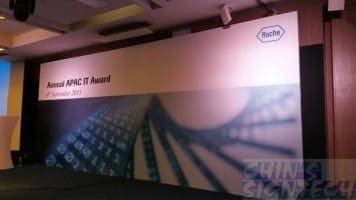 Photo from Roche customer : A healthcare company from Switzerland with worldwide region. 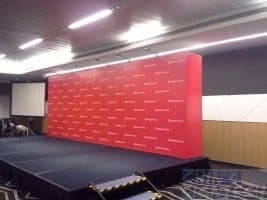 Our cheap backdrops can make it on your grand stage ! 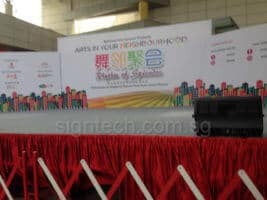 Most of our stage backdrops are installed for important events, can be found on Mass Media online or newspaper. 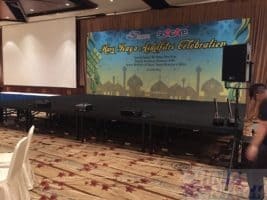 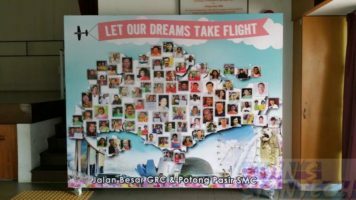 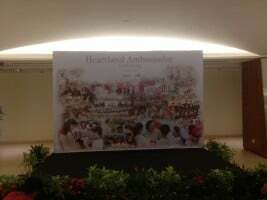 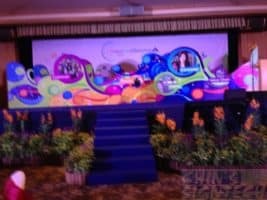 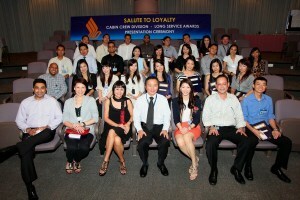 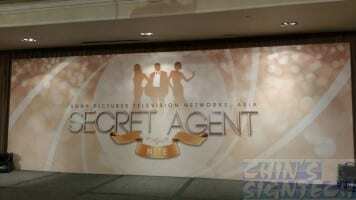 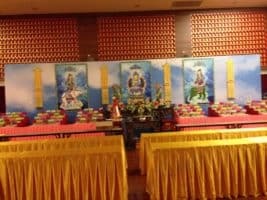 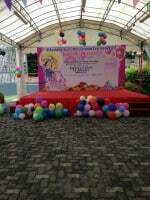 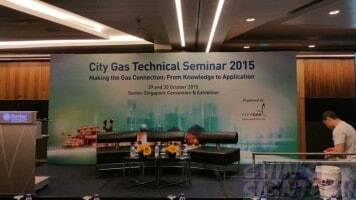 You can trust our capabilities on our backdrop for your events. 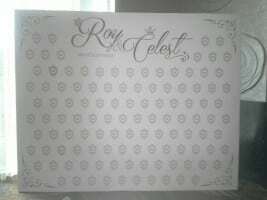 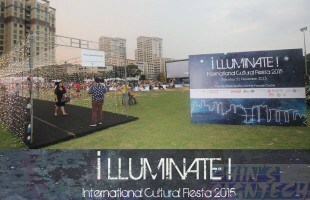 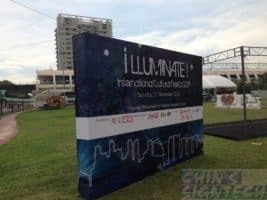 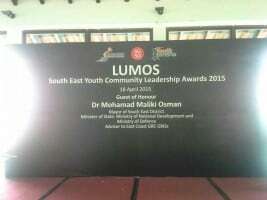 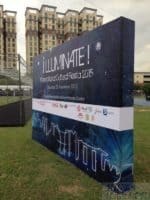 3 x 2.5m Double sided Photo Booth backdrop for Illuminate ! 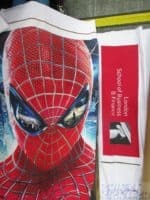 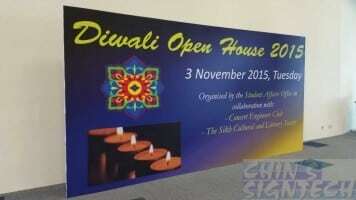 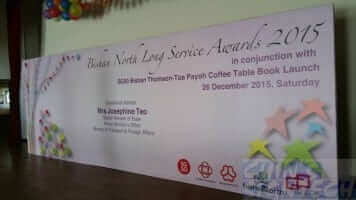 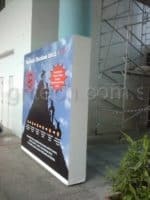 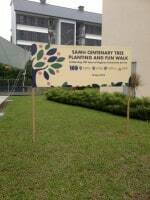 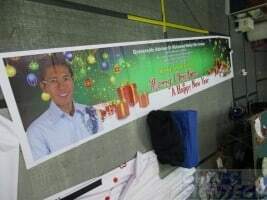 Printed on PVC banner with its matt, less reflective finish, is the ideal solution. 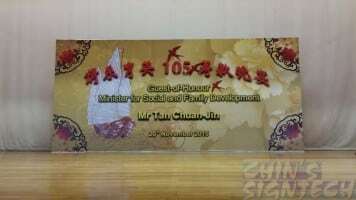 Photographers can also take advantage of the non-reflective finish. 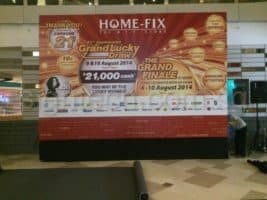 We provide install and dismantle. 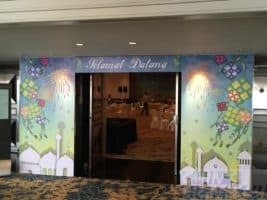 We can design whatever theme you want ! 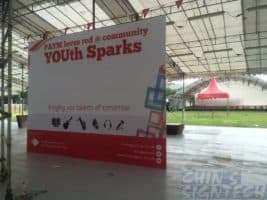 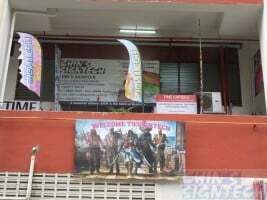 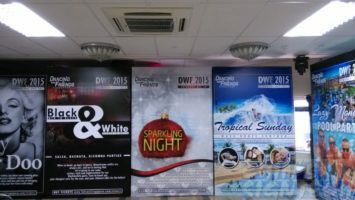 You can be certain that the rates we offer are the best available making our advertising banners a cost-effective way of creating awareness in your product, service and events. 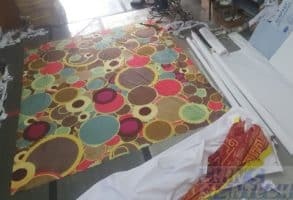 Seamless printing on Fabric still in progress. 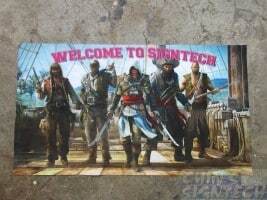 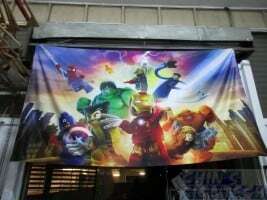 Better than PVC banner and Sticker base backdrop. 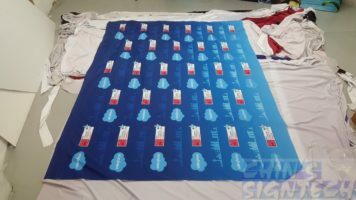 Read more about why use fabric for your event backdrop, Photo booth or Photography Studio ? 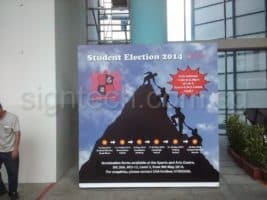 There is no difference between these two if PVC banner is wrapped on to it. 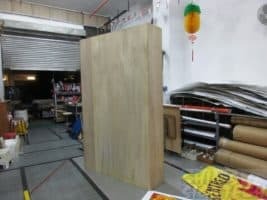 Those contractor who do on plywood are those sticker base backdrop. 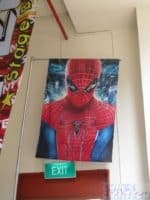 You cannot find the difference at all ! 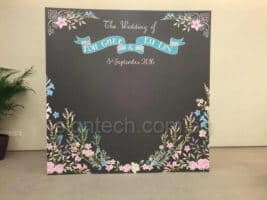 If you can, I provide free backdrop to you ! 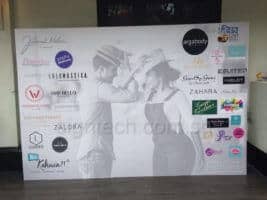 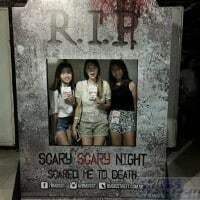 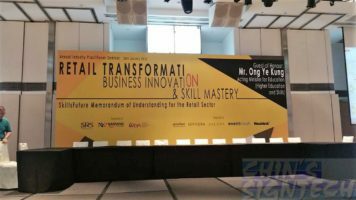 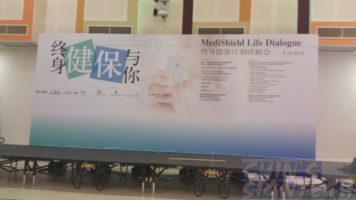 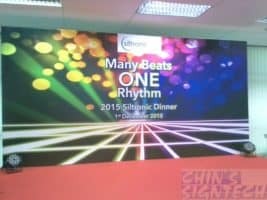 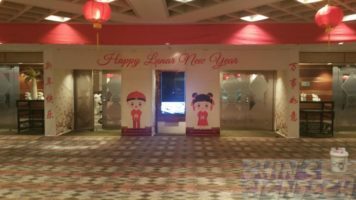 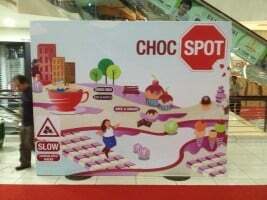 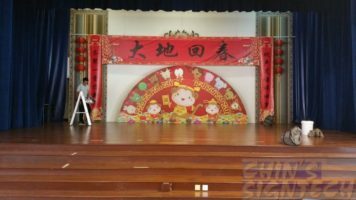 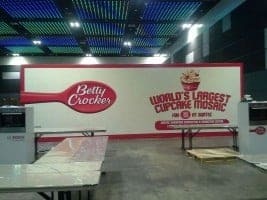 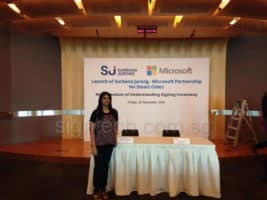 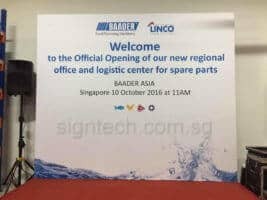 Why we don’t do Sticker backdrop or Curve Pop up display ? 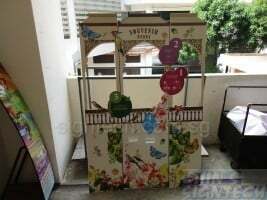 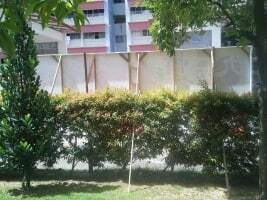 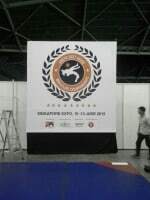 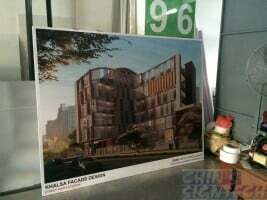 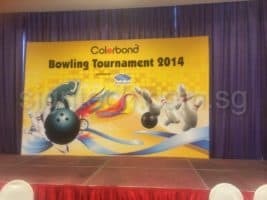 $900+ for a curve pop up system, size only 3 x 2.3 meter, so small and short. 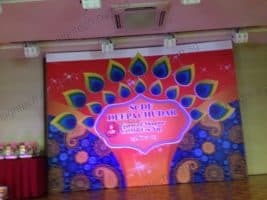 The material cost is higher so the backdrop price higher. 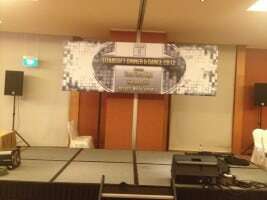 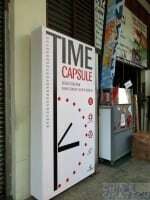 Your event last for 4 ~ 8 hrs, so is unnecessary to spend too much. 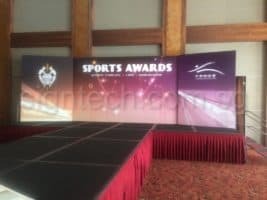 Portable Backdrop stands on Pop Out Display and Tension Fabric, price Range from $800+. 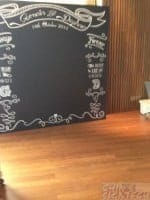 Easy setup by ownself without any hassle. 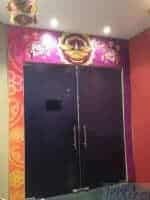 Available for rent ! 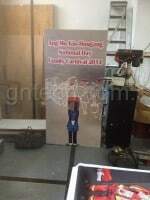 If you need smaller backdrop around 12ft x 3ft, we can do it on wooden frame with metals stands. 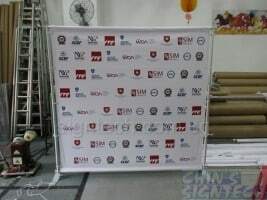 We can use black cloth to cover the metal stands if you need, just tell us what you need us to do. 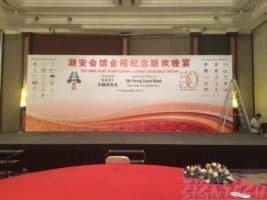 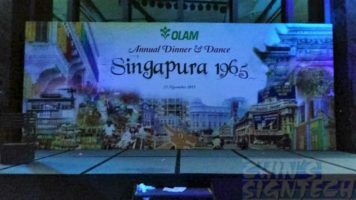 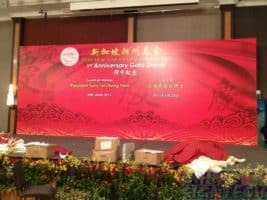 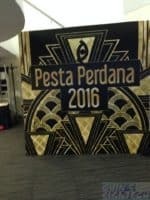 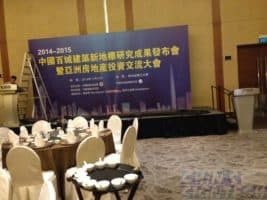 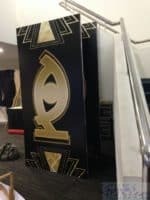 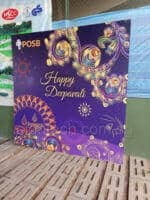 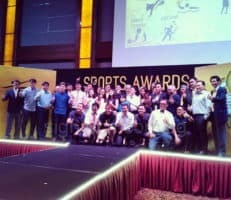 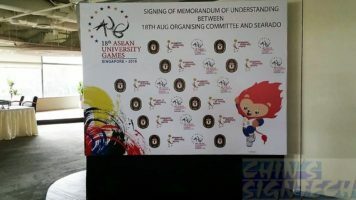 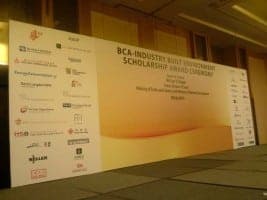 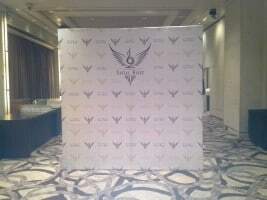 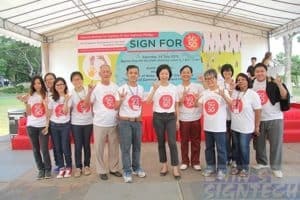 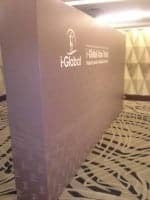 Sometimes event backdrop need to have hard plank wood backing for signing or pasting materials onto the backdrop, we can build accordingly. 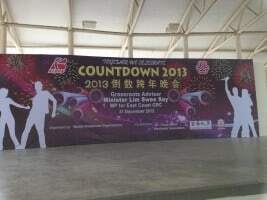 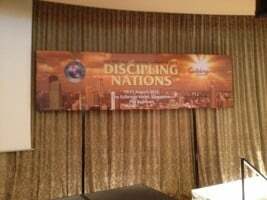 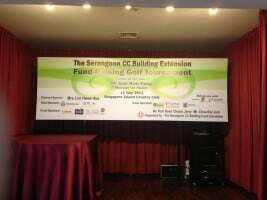 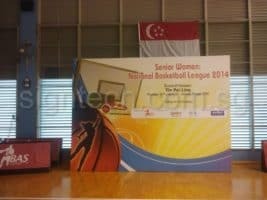 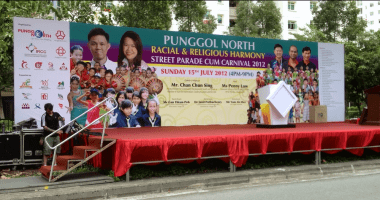 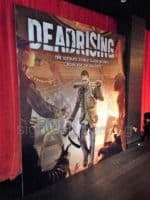 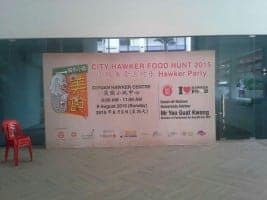 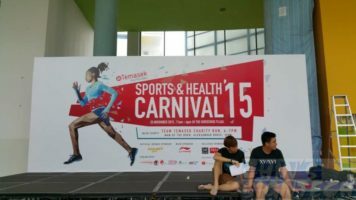 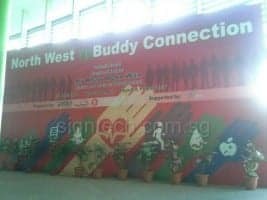 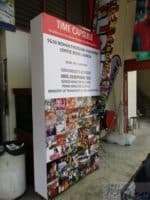 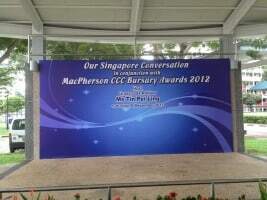 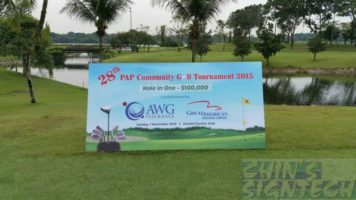 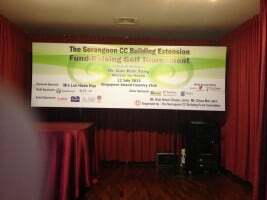 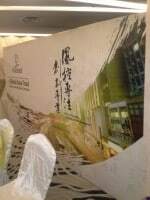 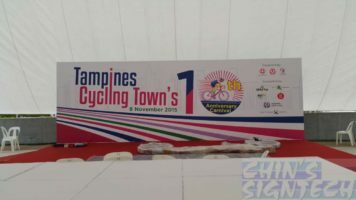 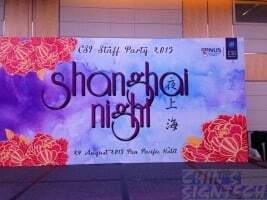 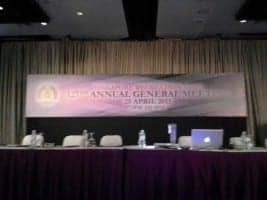 Need double sided printing for your event backdrop also no problem, we just wrap the PVC banner onto it. 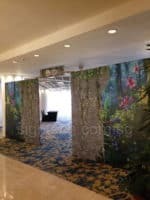 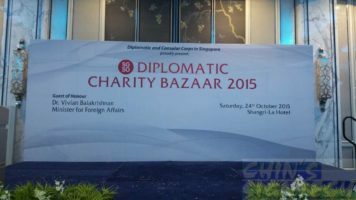 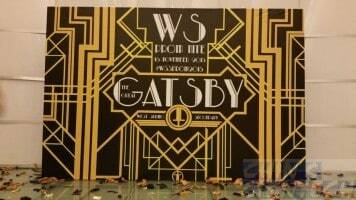 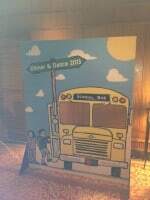 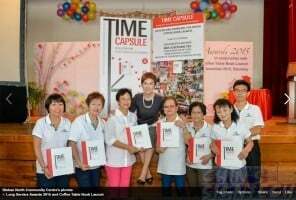 Need a movable backdrop for your event ? 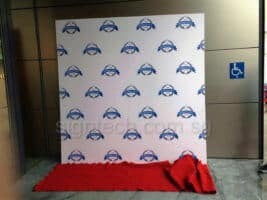 These convenient backdrop are build with castor and wheels, you can push this backdrop anywhere you like. 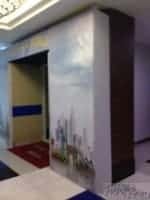 Graphics can be changed easily. 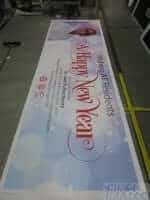 At some events we need to use fabric instead of PVC banner. 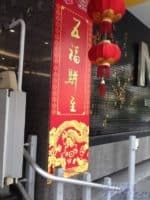 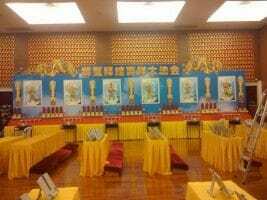 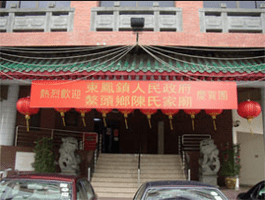 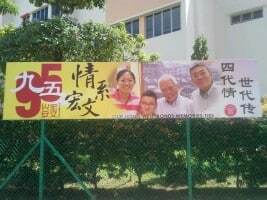 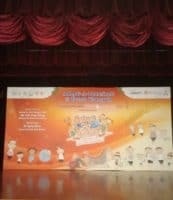 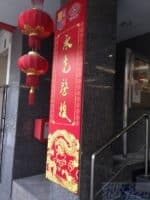 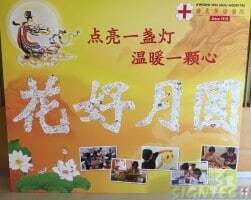 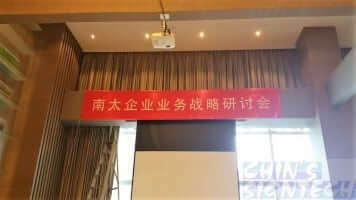 Especially the banner involve Chinese texts or need to be non reflective. 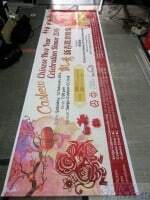 Banner with Chinese texts will look great on fabric, especially on shiny Satin ! 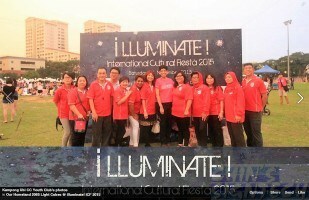 When light shine on the fabric, it glow brightly and awesome! 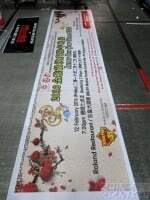 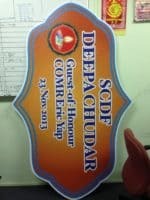 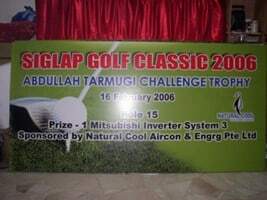 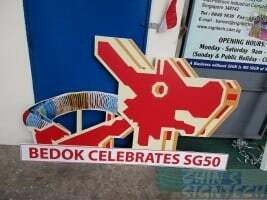 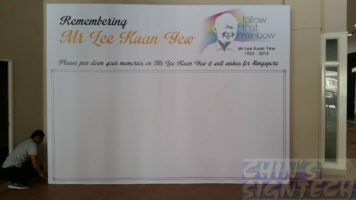 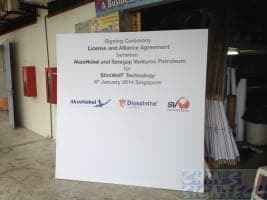 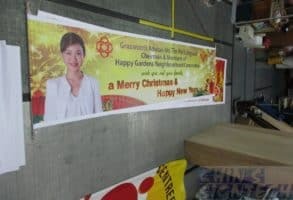 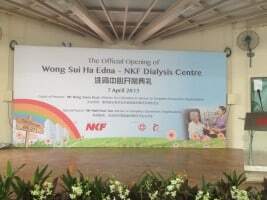 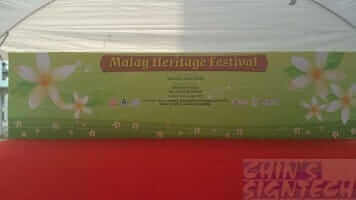 Olden days, banners are hand written on cloth, large format digital printer are very expensive. 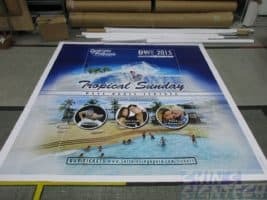 With high end technology, we can print vivid graphics and texts onto any polyester fabric. 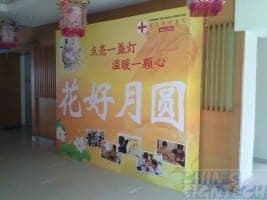 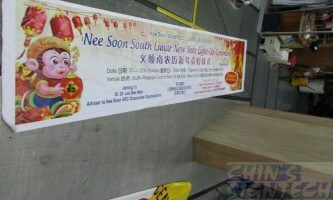 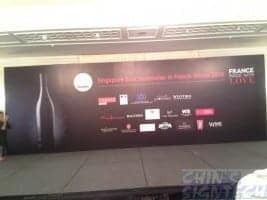 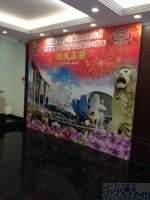 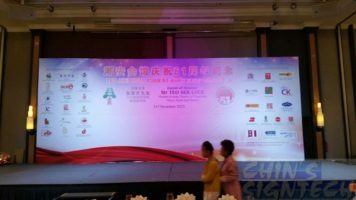 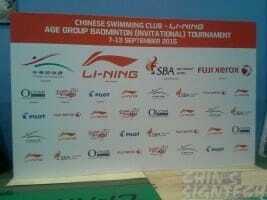 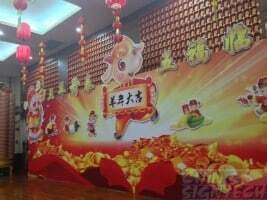 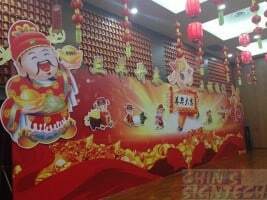 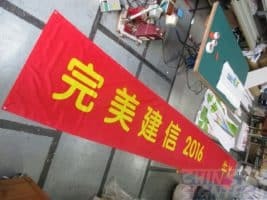 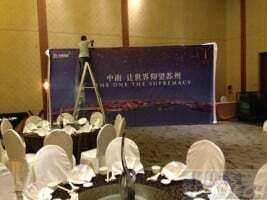 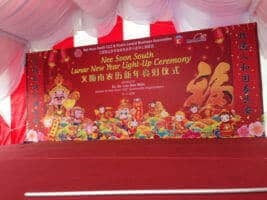 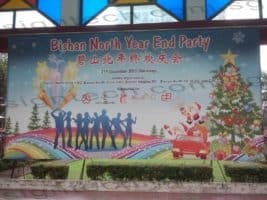 It is not still old fashion to use fabric banner, at China they still use cloth banners for their grand events. 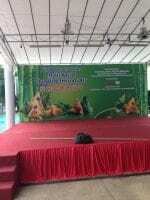 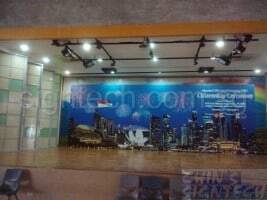 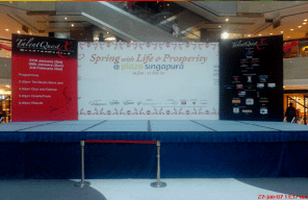 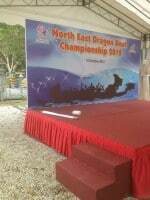 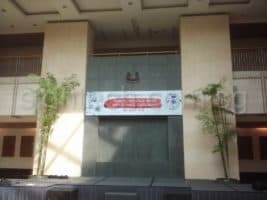 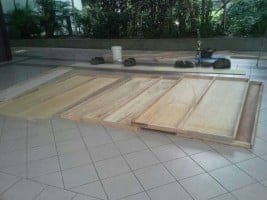 In some cases, you already got your stage backdrop with wooden boards backing build by tentage contractor. 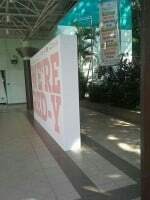 We just need to staple the PVC banner and wrap onto these boards. 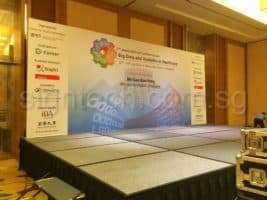 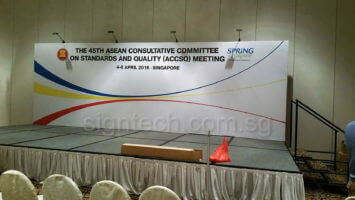 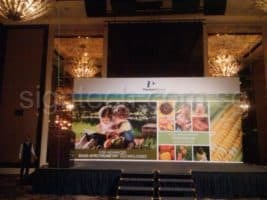 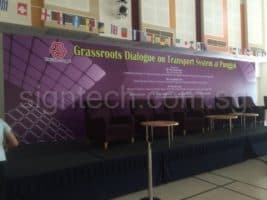 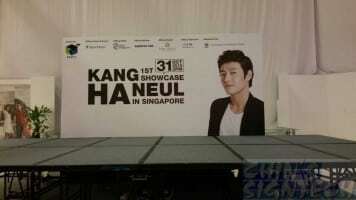 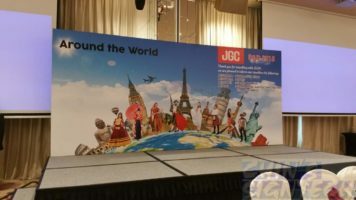 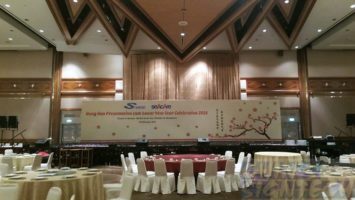 If you got a large stage, your event backdrop can be separated into 3 different size of panels. 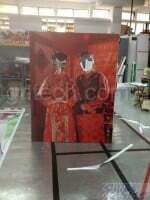 With 2 side panels placed around 30 degree and the larger panel at the middle, which will display another kind of view. 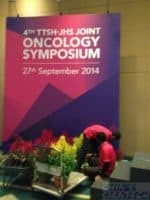 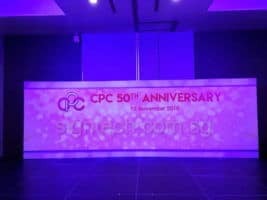 Colour spotlights do play an important part on your event stage backdrop. 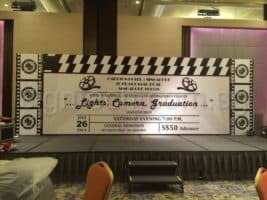 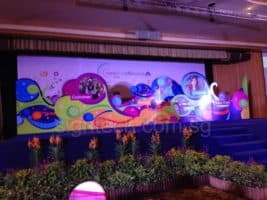 With colour spotlights it will enhance your backdrop design, which will make your event more lively and awesome to your audience. 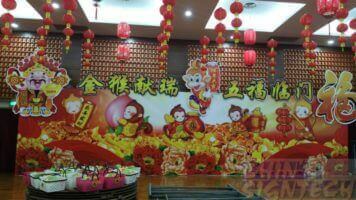 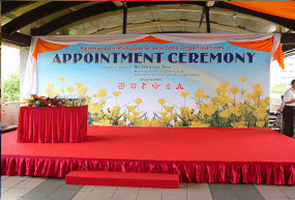 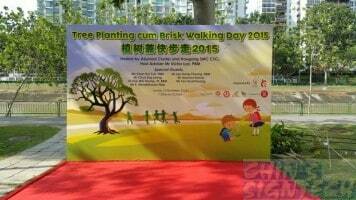 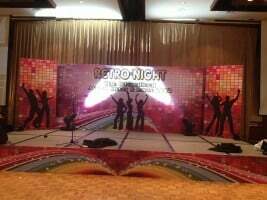 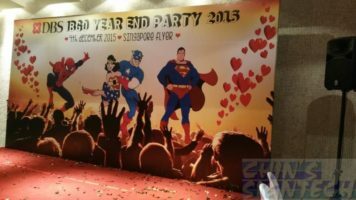 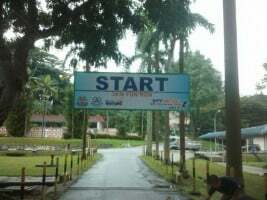 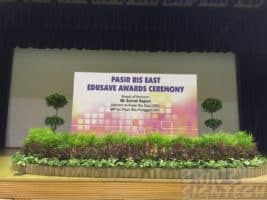 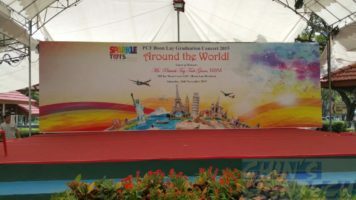 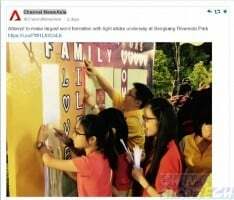 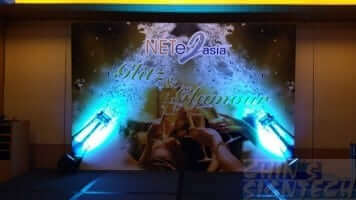 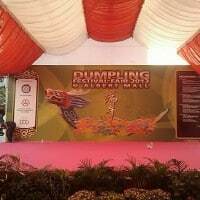 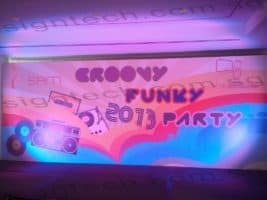 If you need design service for your event backdrop, we got a team of experienced graphic designers. 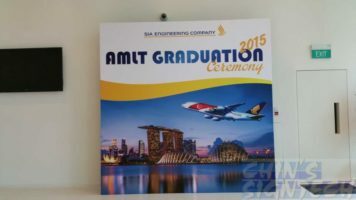 We can design whatever theme you want, we have great resource of images from our subscribed account such as Shutterstock and for Chinese style images we have China image bank accounts. 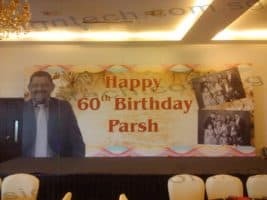 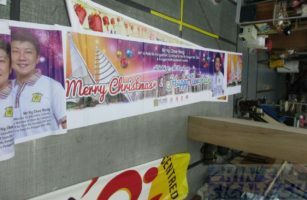 We are confident we can do your PVC banner or Backdrop design properly with our professional tools and graphic designers. 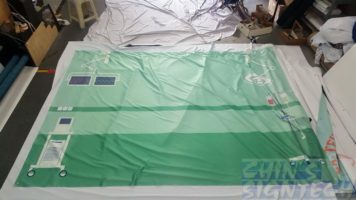 New type of fabrics material coming !